The Hublot Polo Gold Cup holds its head high alongside the major European clubs which feature multiple canchas (polo fields). It is rightly proud of its unique difference, offering a high-level tournament in one of the most unusual and prestigious locations in the world. The four teams that have been invited have confirmed their attendance with, notably, some well-known players and major captains, with one new addition this year: a team from Abu Dhabi. The setting is quite simply majestic: a green valley, nestled in the hillside some 1,000m above sea level at Saanen, the only flat area in Gstaad which can accommodate an aerodrome … and a polo field. 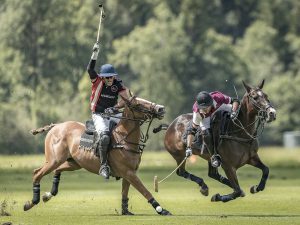 Setting aside the famous tribal polo tournament which takes place at Shandur Top in the Hindu Kush region in the north of Pakistan at an altitude of 3,719m, Gstaad is certainly home to the highest summer polo tournament in the world: the Hublot Polo Gold Cup marks its 23rd edition this year. It is the place to be between 16 to 19 August this year. 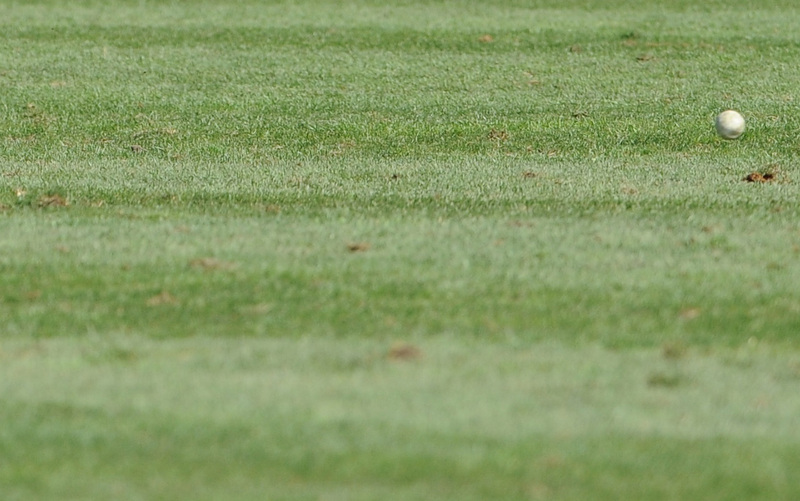 It is a tournament with a particular atmosphere where, between the comings and goings of the private jets, high-quality matches take place on a field which is standard in length but slightly narrower than usual, giving rise to a faster game which is easier for the public to follow. The magnificently decorated village, featuring prestigious exhibitors such as Ferrari, the sponsors of the four teams and many others, is well worth a visit between the matches. Lunch receptions and gala evenings take place in a magnificent VIP area combining luxury and sophistication. 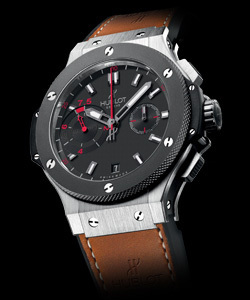 Four teams will fight it out for the four Hublot watches offered to the players of the team which is victorious after their three matches: the qualifying rounds on Thursday, the semi-final on Saturday and the finals on Sunday. Last year, after several failed attempts at the title, the Swiss restaurant owner and company head Cedric Schweri finally won the coveted prize. He’s back this year as the big favourite with just as intense a desire to keep hold of this prestigious title with the Banque Eric Sturdza team. To achieve this goal, he has taken on two Argentineans and Brazil’s Joao Novaes (a five-goaler), a former winner of the French Open in Chantilly. The danger comes in the form of another Swiss captain, Matteo Beffa, who is striving to take the colours of the title partner, Hublot, to the top of the podium. To do so, he has called upon a big handicap”, Argentina’s Julio Novillo Astrada, who is a 7- goaler. His family is famous in Argentina: his cousins have notably won the most sought after professional tournament: the Argentinean Open. The American Marco Maximilian Elser will sport the colours of the Gstaad Palace. He is counting notably on Argentina’s 5-goaler Pedro Fernandez Llorente. For the first time in Gstaad, Faris Al Yabhouni’s Abu Dhabi team will sport the colours of the new team sponsor, the Clinique La Prairie. A high-performing team in Dubai, with as its cornerstone and polo manager, Argentina’s Hugo Barabucci. These last two teams have a slightly lower handicap than the others and will start their matches with a 1/2 goal. ← He finally did it !